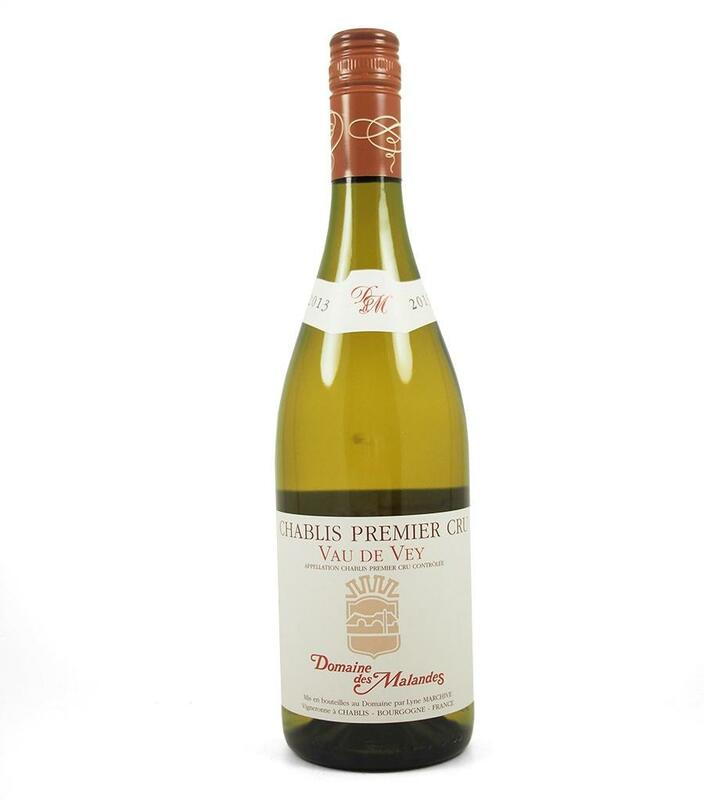 Vau de Vey as a vineyard produces fruitier (hints of sweet lemons) rather than lean, mineral wines. The 2013 vintage was successful in that it allowed a typical style to be produced, with a good balance of fruit &amp; acidity. Great with fish, the locals in the area probably fish out something from the reedy, smooth-flowing Serein, we’ll have to make do with something good from the cold slab. Domaine des Malandes in Chablis 27-hectare domaine belongs to Lyne Marchive, formerly Rottiers, née Tremblay. Most of the holdings were put together by André Tremblay in the 1940s and 1950s when it was possible to swap a hectare of agricultural land suitable for growing wheat and get two hectares of vineyard land, including premiers crus, in return. How that has changed. Lyne wanted to go to wine school in Beaune, but on discovering she would be just about the only girl (how that has changed, too) she decided not to take up her place. She is currently assisted by Guénolé Breteaudeau who originates in the Pays Nantais, Muscadet country. Improvements in recent years include the move to ploughing the vineyards and managing them according to lutte raisonée, along with hand-harvesting of Côte de Léchet, Fourchaume and the grands crus. Vau de Vey is located on a very steep slope with clay and limestone soils. It is the soils that give this wine its unique character. In its youth the wine expresses a very delicate floral white peach aroma with classic Chablis minerality. Due to its rich acidity, the wine has good ageing potential.